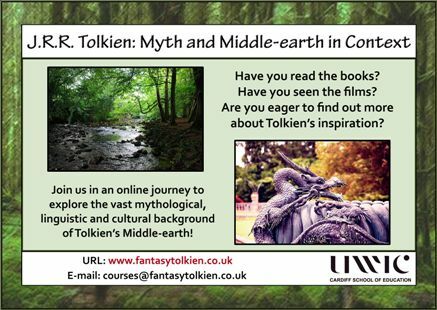 I am very pleased to announce that the Tolkien online course (Masters Level) I have been teaching at UWIC will run again in October 2011! The course is entitled J.R.R. Tolkien: Myth and Middle-earth in Context, it is taught entirely online in 10 weekly Units, and explores Tolkien’s medieval sources and cultural context. For a detailed outline of the course contents, please see the video presentation below. Enrolment is now open!